Which one of us doesn't want an inspirational home off space to work or even play in? 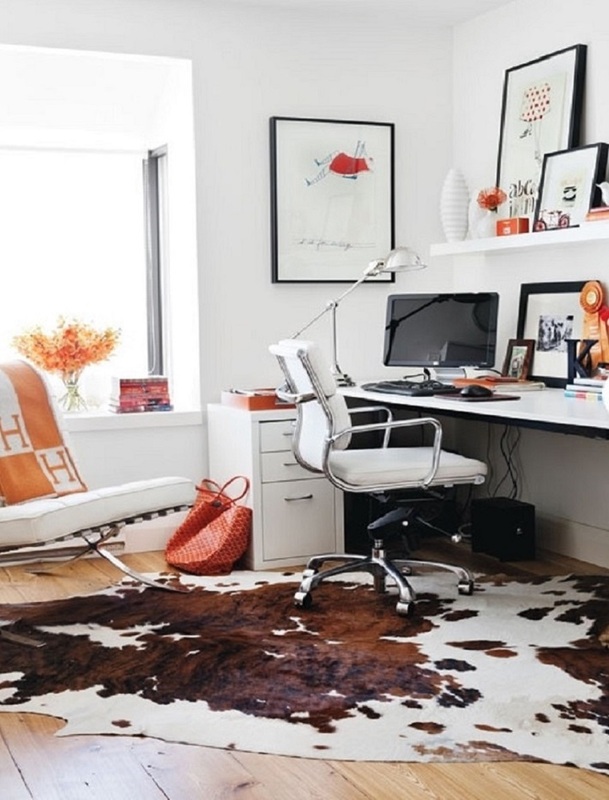 8 tips on how to create an organized and productive home office. 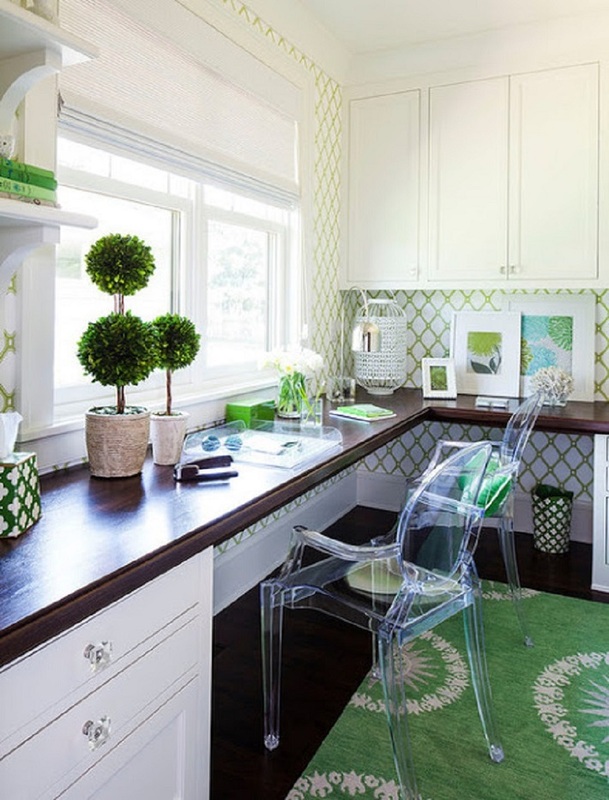 In the meantime here are 20 inspirational home offices with tips on why they work and how you can re-create them in your home! 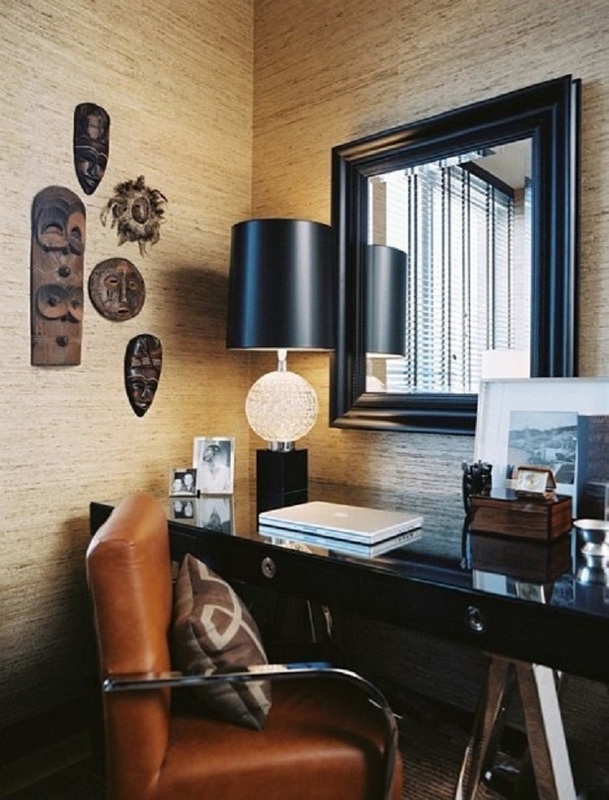 Elegant desk spaces make for terrific meetings with potential clients or existing ones! Above the deep dark coloured walls allow the brass bookshelves to take center stage. 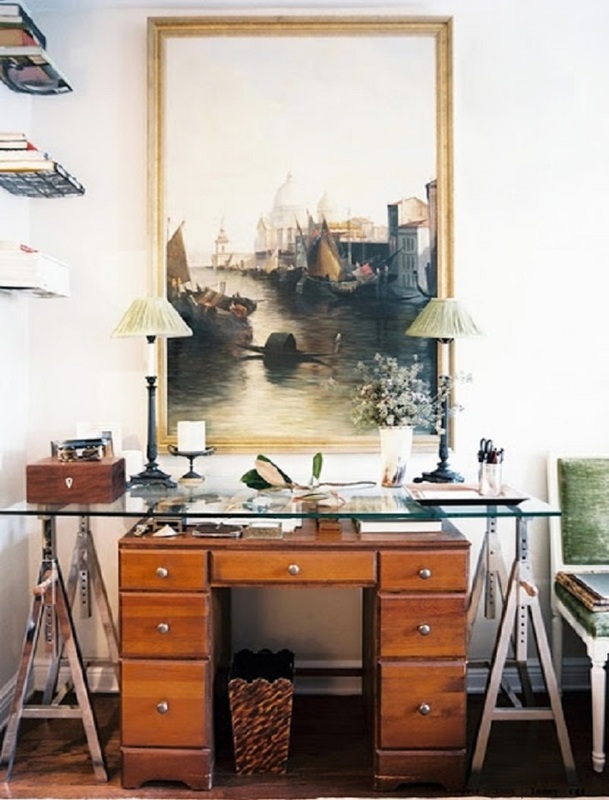 The bookshelves also create the anchor between which to place the plexi-glass desk. An elegant rug also does its' work by pulling it all together. 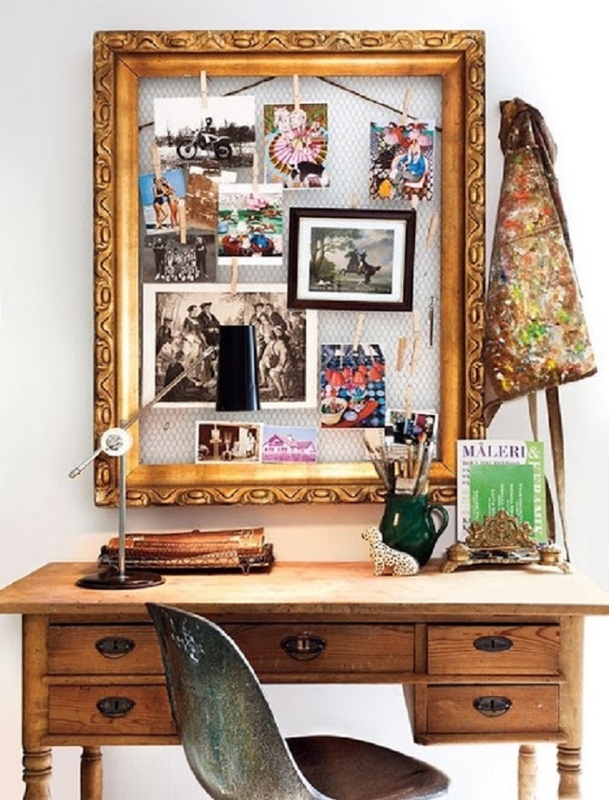 A creative soul inspires a desk that is sassy and unique to express themselves. 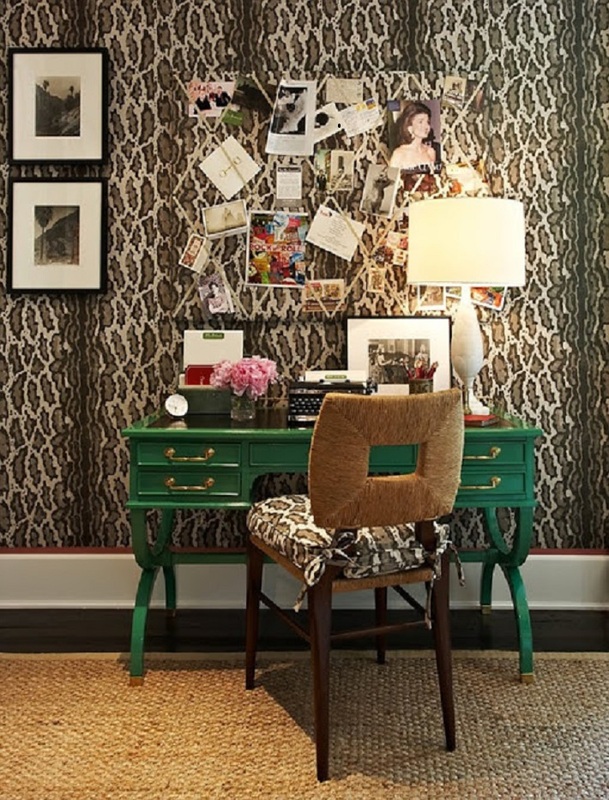 This exotic space with its' grasscloth wallpaper and African masks evokes a feeling of travel, even if you've got a 9-5 job to get to! Perfect setting for a masculine look. some electronic correspondence. The artwork gallery is a testament to the fact that an office can be unique, functional and yet artistic! 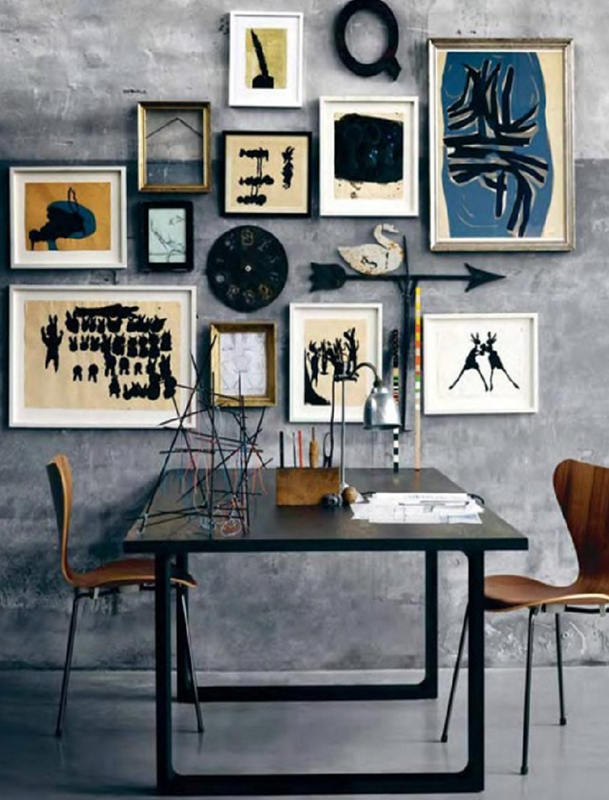 For more information on how to create a gallery wall visit last month's entry How to create a gallery wall with frames. 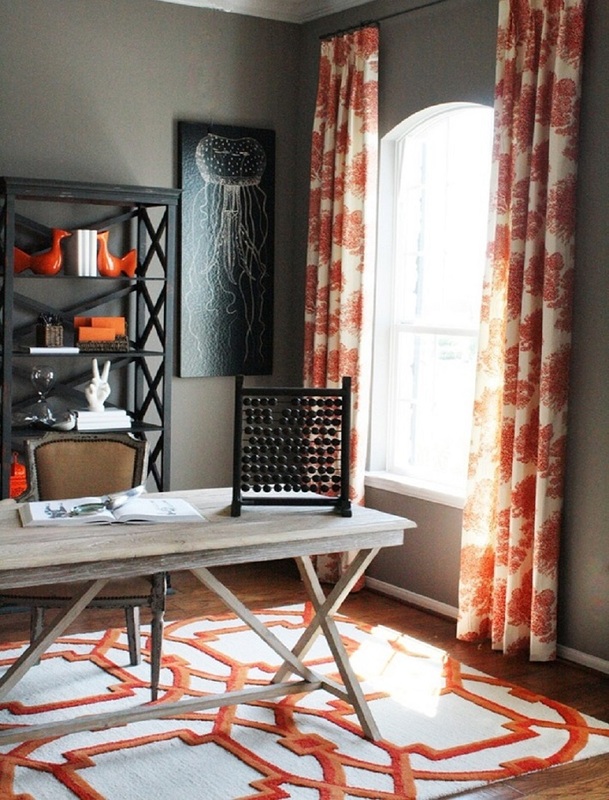 I love this look - pops of tangerine and a cowhide rug against pine floors. 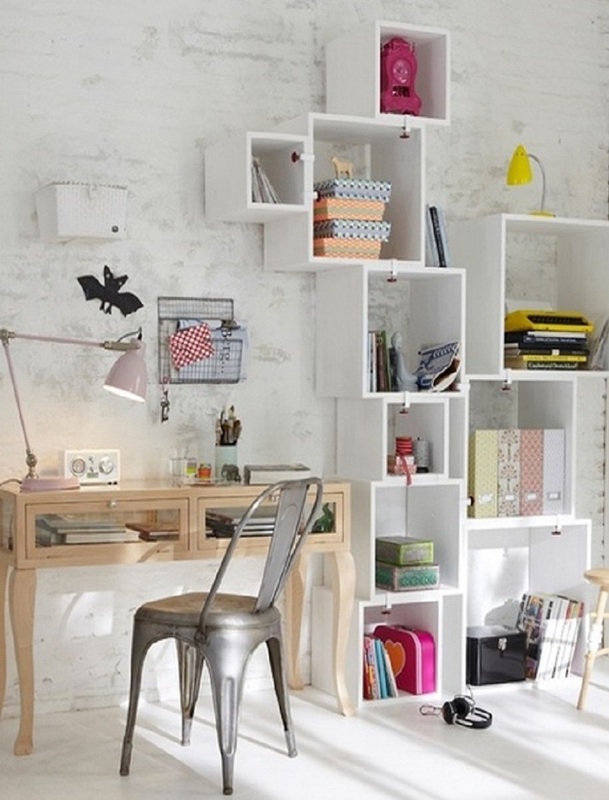 The bright light and solid white of the furniture, desk and shelves gives this room an air of efficiency and order. This is a prime example that every inch of your home should be used to the max. This tight space is put to great use and sleek enough that it makes a terrific little office. appear as if it's floating on air. 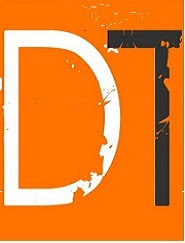 used in a non-traditional ways. reminiscent to me of Montreal's Expo 67 Habitat project. The bookshelf cubes also create perfect stages for lovely vignettes. One of my favorite things is a mood board. Here it is created with chicken wire stapled into a second hand frame. A modern Eames styled chair is juxtaposed against the classic pine table. Below, the bulletin board blends into the wall by using the same wallpaper pattern! Need to work in a duo? This dynamic desk and candy apple red chairs are sure to inspire your best work! Who doesn't need a wall-to-wall desk? 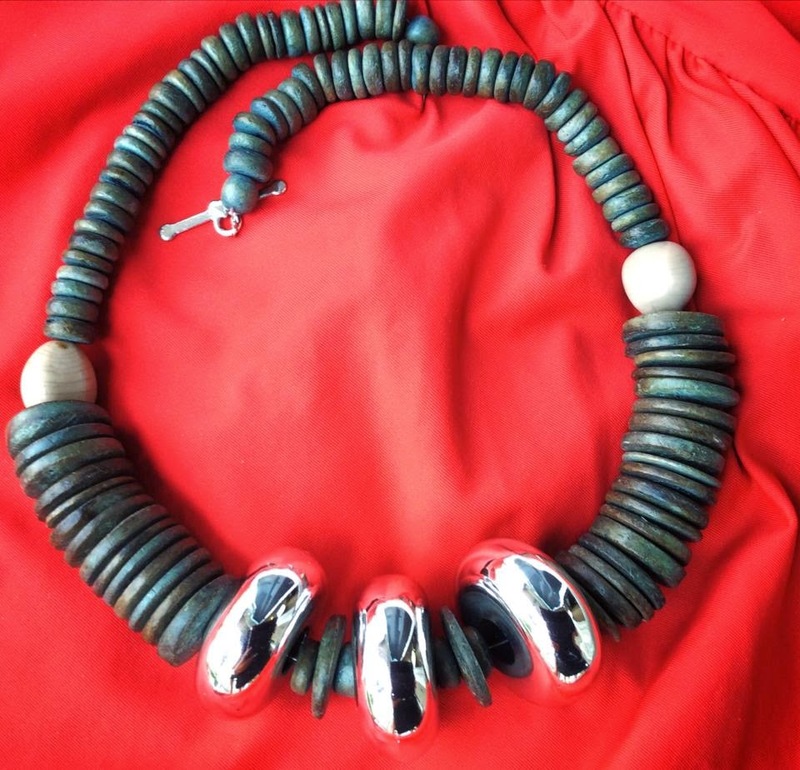 Inexpensively created with a slab of melamine, it is workable on any budget. classic filing cabinets, tucked away for extra storage. The sheepskin throw creates just the right amount of warmth and surprise. A long rectangular dining table can create an ample office desk. Here a number of people can work in one area, or even have a meeting. The director like chairs are easily folded away too! modern lamp and black and white classic look. Below one more sleek version in 'old hollywood' style. could easily double as makeup tables in the boudoir! A white, shabby chic look for any budget, easily recreated with vintage finds. This creative idea just inspires awe! Got a classic desk remnant in an attic or salvaged one from Goodwill? Place a piece of glass above the desk onto see-saw legs directly above it. 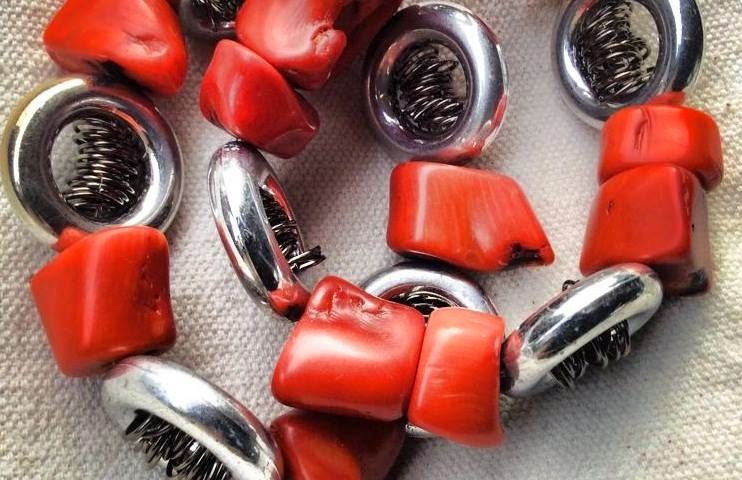 allows for collectibles to be in full view just below your work surface! The wraparound desk does not have to be dull. it'll make any space feel like it's summer all year long! 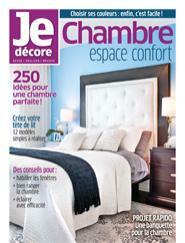 Ideal for long wintry climes, like here in Canada. This is a dream work space - for crafting, sewing, or home projects of any kind! The narrow drawers are ideal for craft papers, or snips of fabric. bric-a-brac into coordinating storage boxes. 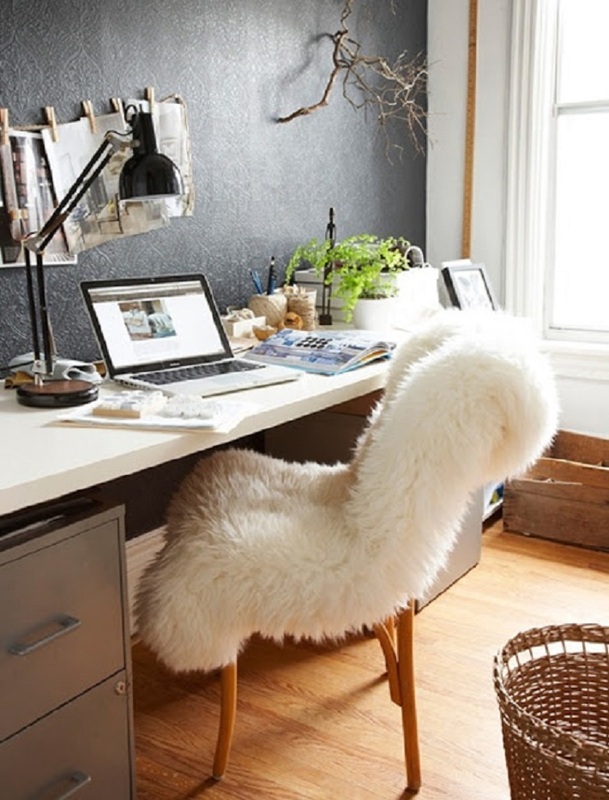 Love that wrap around desk! And that vibrant green! WOW! Lovely images since I work from home! Good ideas!